Gutters play an important role in redirecting rainwater from the roof to the drainage system. This helps to minimise unnecessary weight on the roof that can affect the roof’s integrity and longevity. The gutter system also prevents water puddles from accumulating on the roof, which may lead to rust, corrosion, warping, rot and more. Like other parts of the roof, the gutter needs proper maintenance. This is the only way it will deliver good service and last for a long time. The following tips will come handy when cleaning the gutter. Before attempting to clean the gutter, you should ensure you have a proper ladder. It should be firm and will not wobble during use. Additionally, it should comfortably handle your weight. The length of the ladder is influenced by the property design. A storeyed building requires a longer ladder in comparison to a single story property. It is advised to have someone holding it while you work as this improves the unit’s stability. The best ladders will have a slot for holding a bucket, brush and other things. This will save you from having to come down and go up too often. Ensure you use a good scoop that will not scratch the gutter. Doing so may create scratches, which may later develop into crevices, and cracks that allow water to penetrate through. It may also chip the protective layer on metal gutters and this encourages rust and corrosion. The scoop should fit nicely inside the gutter and have a curved design for maximum performance. You should also make certain it feels right in the hand and is also ergonomic for better comfort. You also require a gardens hose to get rid of dust and other debris. Pick one that has the proper length for easy reach. It should also handle the water pressure but still give you easy control. The best options come with a spray nozzle that delivers high pressure while consuming little amount of water. It also features a piston-grip hand trigger for releasing and stopping the water flow. You shouldn’t clean the gutter without wearing goggles or eye glasses. They stop dirt, dust, insects, fluids and other things from getting into your eyes. Did you also know that gutters could harbor wasps, bees, rats and other creatures? The last imaginable thing is the insects getting into your eyes. The gutter and the roofing can have harmful substances. Bird droppings, animal excrement, tree sap, acid rain, rotting levees, bacteria, rust; chemicals are just but a few of the toxic compounds. It also may have rough or sharp edges that may injure your fingers. Wearing quality gloves is recommended. They help prevent cuts, scratches, and bruises and also make your hands comfy especially in the cold or hot days. You should be extra careful when cleaning gutters that are near power lines. In fact, you are better off letting the professionals handle the task if the lines are too near your home. Wearing protective clothing, gloves, and safety boots will help in case you accidentally come into contact with the power lines. It’s paramount you wear proper shoes during the exercise. The goal is it has a firm footing to prevent slippage, and to stay comfortable in any weather. Rubber shoes are known for the nice grip they provide. They are less likely to slip whereas canvas type is lightweight and also feel comfortable. Unclog Downspouts: You should not forget to clean the downspouts during the cleaning exercise. Yes, you may have a clean gutter. However, a clogged downspout will hinder the flow of rainwater. Pouring water through the pipe lets you know whether there is a clog or not. The above tips will not only prevent blockage or poor flow of rainwater but also extend the lifespan of the accessory. It also prevents damage since water or snow will leave the roof fast. While it may look easy, failure to follow the correct cleaning procedure may lead to damaging the gutter. It is also likely that you may slip and fall off the ladder leading to injuries. A better and safer approach is letting the professionals handle the cleaning exercise. Birmingham Roofers prides on being a leader when it comes to roofing. The firm undertakes new installation, repairs as well as maintenance. By depending on skilled and devoted employees, the licensed roofer will eliminate all the dirt, dust, gunk and other debris that may be blocking the gutter. You can get more information about the firm and the gutter cleaning service by calling them at 01214 050961. You can also visit their website at http://bmroofers.co.uk/ where you also get a free quote on the service. The roofing sector has seen many developments of late. This comes in a period where the market is showing a good recovery from the post-2008 era. In fact, many experts state that although BREXIT had some impact on the industry in general, there seem to be lots of optimism in the sector. Like other contractors, roofers have to keep up with the changes in order to remain relevant in the industry. This means acquiring newer skills, coming up with better innovations, and using the latest technologies. One area that seems to receive lots of interest is the “Green” roof sector. Consumers, as well as industry experts, are vouching for more energy efficient and non-polluting solutions to their roofing problems. Gone are the days when asbestos was the main materials. Nowadays you will hardly come across any asbestos roof. Instead, what you get are roofing materials made from recycled and renewable materials. They provide better cooling, which reduces the reliance of heating, and cooling systems, don’t emit any toxic compounds and also don’t have any negative effects on the people, pets, and the environment. Another form of “Green roof” is the creation of gardens and greenhouses on the rooftop. This is particularly noticeable on flat roofs and the main goal is to create a biodiversity surrounding that enhances the ambiance in the roof. Plants, as we know, have good insulation properties that if used right will help conserve energy and power. It also creates a natural habitat for wildlife including birds and butterflies. According to a report by the National Federation of Roofing Contractors (NFRC), more and more contractors are embracing this new ideology. They will train their employees on the basic principles and ensure to stick to the regulations of the Green Roof Code of practice (GRO). Nevertheless, Britain seems to be lagging behind in comparison to its neighbors like the Scandinavian Countries and German where the green roofs contribute to about 10% of the roofs. London leads lead the pack of cities adopting green roofs and accounts for approximately 42% of the green roofs in Britain. Other regions, nevertheless, are slowly but steadily picking up the pace. Another area that has contractors and the industry in general concerned is the widening skill gap. There are more older people in the industry compared to the younger people. And with many of the senior people retiring, the industry faces a shortage of skills. This problem is further worsened by the boom in the construction industry that requires more contractors. Statistics show that the industry requires about 44,430 new recruitments every year and the number will increase to over 46,000 by end of 2018. The supply, however, is far less meaning that the shortage will continue to be felt. Due to the looming shortage, some contractors are opting to seek services from beyond the borders. A survey carried out back in 2014 by The Federation of Master Builders indicated that 20% of service seekers faced challenges when recruiting for skilled labor. The reason was that there was a shortage in seasoned bookers including roofers. The ones they found were not very skilled and lacked the desired hands-on-experience. The skills gap is also evidenced by the rising day wages where in some regions; a skilled person can earn over £250 daily. This is similar to some leading white-collar jobs. While the high prices are good for the industry, the shortage of skilled roofers isn’t. The Markit/CIPS UK Construction PMI says that the demand for subcontractors is in an all-time high. This is pushing the wage rate higher and at the same time putting pressure on the few available contractors. Sadly, the end user, who is the service seeker, has to dig deeper into the pocket to get the service. Some, who find the prices a bit too much, may be forced to seek shoddy services from less-experienced or incompetent contractors. This may look economical in the short run but may ruin the good reputation of the existing contractors. It is, therefore, necessary to come up with long-lasting solutions. A good approach is trying to market the sector and offer incentives for the younger generation. Many leading firms are playing an active role in not only marketing the roofing sector but also taking part in recruiting and training young people. The number of apprenticeships has increased to narrow down the gap. These are extensions from the main house that are constructed to maximize the available space. In the past, homeowners would need to build new structures to add some space. However, with challenges such as limited space and insufficient funds to construct new structures, people are turning to loft extensions because they provide a cheaper, more convenient option. Also, you don’t have to worry about permits when building aloft extension as is the case when building a separate structure in most places. Also referred to as a nail gun, a nailer is one of the most useful tools for any roofer. I bet most roofers will rank it in the top three of their favorite tools. A nailer is used to drive all kinds of nails into frames, shingles, truss, plywood, bituminous felt, underlayment, and other materials used in roofing. In the past, roofing was a hard job since you had to use hammers which were extremely slow and tedious to work with. With nailers, you can work continuously without getting tired and do what used to take weeks in just a few days. This is a horizontal plank fixed on the roof’s end. A fascia runs on the edges attaching to the rafter. Fascias are normally made from plastic, wood, PVC and other materials. Their job is to protect the roof from dust, heat, creatures, and moisture that may destroy the truss, sheathing, underlayment, tiles, rafters, and batten. They also improve the roof’s structural integrity and general aesthetic appeal. This is the part between the wall and the fascia. If you stand beneath the roof while outside, you will be able to see it clearly. Soffits are used primarily for improving the beauty of the roof and house in general. They conceal the sheathing, batten, underlayment, and rafters. Soffits also boost air circulation which prevents dampening and protects shingles from underneath. If you take a look at that section of the roof where the wall meets the tiles, you will notice a small, metallic piece or strip. It connects both pieces together while simultaneously stopping the penetration of moisture, water, dirt, dust, and other things. This sealing piece is made of rust and corrosion-resistant materials like zinc. A dormer roof is a kind of loft extension found within the roof of a pitched, gambrel or Maynard roof. It usually entails adding another structure with windows to create an additional room or rooms. Dormer roofs have gained a lot of popularity in the UK as a result of mortgages getting more expensive. It also takes less time and is cheaper. In the day and age of environmental sustainability, Green Roof’ has become a common term in the modern roofing industry. However, it has some diverse definitions. To some people, a green roof is one that includes real plants on a roof to create a green natural environment. To other people, a green roof is an environmentally friendly roof free from contaminants, harmful artificial compounds, and pollutants. A ridge is the highest point of a sloped or pitched room that joins to different sections. Under the ridge there is the head of the common rafters or spars. Special iron sheets, shingles, ridge tiles, and other special materials are used to cover this section so as to prevent dust, water, animals, moisture, and other things from getting through. This basically means joining together some pieces of roof covering such as PVC, TPO, PVC alloys, and other plastic materials using a hot air gun. The tool also comes in handy for rubber membranes and offers an airtight seal for extra protection. The technique is best for use in single ply membranes and is known to be safer than other options as it doesn’t produce open flames. SPR is a roofing technique that uses a single sheet membrane as the covering material. The covering material is made up of flexible sheets that fall under either Rubber Polymer Thermoset membranes or thermoplastic membranes. They are lightweight and flexible making installation a piece of cake. This section is much lower than the other sections of the roof. It is the low point where two sections join. It usually has a channel for directing water flow to the designated area. This defines how the roof slopes and is indicated by angles or degrees. The more acute the angle the higher the pitch and the quicker the water will flow. This is a material used to stop the penetration of rain, dirt, creatures, among other things. It comes with different materials and is supported by the framework or truss. Other common terms include Flaunching, Eaves, Hips, Parapet, Gable, Abutment, and Verge. This article should help you learn what most common roofing terms mean. Most of these terms are commonly used by roofers and other professionals in the industry. As much as learning the terms is important, you also need to ensure you hire a competent contractor for your roofing needs. Birmingham Roofers is your go-to roofing contractor if you are interested in reliable and quality roofing services. The company has grown over the years to become one of the most established and trusted roofing companies in Birmingham. The company is run by a team of highly skilled and experienced professionals who use modern methods to build you a proper roof. In addition to installation, Birmingham Roofers also does roof repairs and maintenance. Stop over at their website bmroofers.co.uk for more information on their services and industry jargon. You can also reach out to their team of friendly customer service staff and even ask for a free quote if needed. Being a resident of Bristol UK, you must have looked for or are presently in search for the best roofing service provider. You also prefer an excellent job that is not expensive. On the other hand, as usual, there is a probability that you cannot estimate the time frame within which the job will be done. Of course, you would prefer it done within a day but in most cases, this is not possible. You will not like to tolerate long working hours. The reality of the matter is that duration within which a particular project is accomplished varies. There can be caused by inevitable occurrences that may prolong the project duration. The dimensions of the property, office, or commercial building will affect the timeframe within which the roofing job is done. Roofing experts state that the bigger the project, the more the duration taken to complete. A knowledgeable firm will be acquainted with various dimensions and will increase the number of workers to accomplish larger projects hence reducing the completion period. They have an easy to maintain structure, truss and uses little materials. Building service providers will estimate the time duration by determining the nature of the roof. Amongst the simplest to set up roofs are basically pitched and flat roofs. Complicated roof blueprints such as like mansard and gambrel have more corners, occupying more space and require more complicated maintenance composition. This calls for more planning and development and extended period. A structure assists the casing fabric like tile, slate, steel, aluminum sheets, EPDM, corrugated iron sheets, plastic, wood slates among others. Before using the covering resources or shingles, the service provider first confirms to guarantee that it will sustain the roof cover. Introducing ridged iron sheets is simpler than setting tiles. This is because one sheet covers a bigger zone and just a couple of pieces will be required. Furthermore, the system will have less bars and brackets, which implies lesser work and time. Be that as it may, tiles and wood slates are little and require a more grounded structure because of their heavier weight. You likewise require additionally fundamental materials to make the ideal rooftop. Research has established that talented and competent service providers will set aside lesser time to build a rooftop in contrast with inexperienced and careless contractors. In the first place, they will be comfortable with your sort of rooftop and will peg the time in light of a comparative project. Also, to keep up their reliability, they will religiously adhere to the timetable. In case they propose that its two days, they will work additional hard to meet or even exceed your requests. The type of climate and atmosphere affect the rooftop work span. Fitting material during the wet season takes a more time because of the slipperiness. Actually, numerous service providers don’t accept working in the rain since it is dangerous. How long should A Roof Job Take? Typically, a rooftop job should take somewhere in the range of one and three days. This is affected by the above elements. Roofers Bristol UK gives their clients a reasonable rule on what steps should be taken, the time required for each assignment, and the number of workers involved. A good contractor will change the calendar to meet the client’s needs. For example, if it would take three days and the client needs it done in two, the roofer will add more individuals to the task or even work after some time. To what extent should a rooftop last? Indeed, there is no unequivocal response to this question. This depends on the type of material used as cover or shingles which have diverse physical and chemical properties. For example, some iron sheets will begin to erode or rust while ridged iron sheets are stronger and safe. Metal is more prone to damage in zones close seas, oceans and unrestrained water bodies because of the high moistness. A rooftop found in regions that experience substantial precipitation, solid breezes, or tropical storms will suffer more depreciation in contrast with those in low-lying regions that experience mild winds, low precipitation, and insignificant rainstorm or hurricanes. Different things that decide the length of the root is the materials utilised in the plan of the rooftop, the installer’s understanding, and experience. A reliable roofer utilises the best systems and materials without taking shortcuts. Permitting animal excrement, bird dropping, tree leaves, grass clippings, soil, snow, water to pile jump on the roof exerts unwarranted pressure on the roof. This not only deteriorates the composition but also generates feeble points that may lead to seepages. Rooftops involving tiles, copper and slate and other strong materials are among the longest lasting types. If build up and conserved well, they should serve you for 50 years and more. Wood shakes grooved iron sheets, zinc can last for 30 years or more. Rooftops made of black-top shingles, fiber bond by and large keep going for around 25 years. NB: You should request a guarantee from the service provider and contractor within the rooftop enterprise. Always go for the long one as this guarantee you of maximum satisfaction. We are a roofing contractor situated in the West Midlands. The organisation specialises in new rooftop establishment, substitution, repairs and significantly more.We offer the administrations to private, business and mechanical clients. Since foundation, the organisation has embraced many material occupations and has over the years built itself an excellent name. The organisation is enlisted and authorised to work in the location and additionally offer the services. A group of skilled service providers who utilise the most recent methods and most astounding quality materials run the firm and expect to produce the best outcomes for your satisfaction. By visiting www.bmroofers.co.uk you will get more bits of knowledge on the services. You can likewise request a free statement or call them to know to what extent a project will take and the life expectancy of the rooftop. There are many types of commercial roofs in Birmingham. In fact, newer types are being discovered, while older types are making a comeback. However, what may look good in your eyes or suitable for your premises may not offer the required service. It may start to disintegrate due to the nature of operations, may undermine the functionality or beautiful appeal of the structure, or may be complicated to fit in your building. Rather than installing, a roof and later realizing later that it does not serve its purpose properly, you are always advised to engage a professional and competent roofer. This will save you time, effort, money, and associated stresses. The following are the different options of commercial roofing available in Birmingham. This has to be the most common roofing for commercial buildings. It has been around for many centuries and continues to draw a huge following. The roof does not comprise a ridge that connects two sections. Instead, it comes in a flat piece with one side slightly raised than the other. This allows rainwater, dust, dirt, leaves and other things to fall to the ground. It is made of different materials but the most common are iron sheets, tiles, bituminous rubber, EPDM and more. The advantages of the flat roof are that it’s easy to install, requires minimal maintenance, takes little space, and is cost affective. However, it isn’t very noticeable especially if the slope or incline is little. It also can be hard to install in a very large building and will require a strong support framework. NB: Choosing the right pitch or slope is critical when selecting a flat roof. Too shallow and rain water, animal excrements, bird droppings, leaves, grass clippings may remain on the roof for too long. Metal roofing is also common in Birmingham and is used in both commercial as well as residential applications. It has been around for centuries and is liked for its simplicity, sturdiness, and durability. The earliest types were made of materials such as lead, bronze, and copper. However, the materials were prone to corrosion and rust. Later on, materials including aluminum, stainless steel, and galvanized steel became the preferred choices. Galvanized iron is the most common covering material that is used. It outscores the other options in regards to its lighter weight, better resistance to corrosion and rust, and handles different environmental factors quite well. Nevertheless, the popularity of this roofing is declining as people go for more energy efficient roofs. It is also more expensive than other cheaper options like plastic. The main pros of the roof are easy installation, long lasting, affordable, and require less labour to install. The cons are that it produces more noise during the rains, it is not super strong, and isn’t the most attractive. Bituminous is commonly used on flat commercial roofing. The material is used as a substitute for galvanized iron, aluminum, tiles, zinc, and other materials. The material comes in different designs to suit various needs. You will come across long strips that come in form of rolls, short square /rectangular pieces, modified bitumen as well as hybrid. To lay the roofing system, Birmingham roofers also incorporate other materials such as self-adhering membranes, cap sheets, and base sheets. For extra strength and longevity, modern types are reinforced with ply sheets (organic mats) or glass-fiber mats. key merits of bituminous roofing are that it is energy efficient and will absorb the heat to create a nice warm interior, it doesn’t produce noise in windy environments or heavy downpour has good resistance to high puncture, and has good waterproofing and weatherproofing characteristics. The main demerits are that it is a little technical to install and is heavier than some other options. Single ply type of roof comprises flexible sheets made from compounded synthetic materials. The main categories are thermoplastics and thermosets, both of which are manufactured in strict environments to ensure they are eco-friendly and safe for human beings. Thermoset membranes comprise of rubber polymers (with Ethylene Propylene Diene Monomer (EPDM). Thermoplastic membranes are compounded from polymers and will become hard when it is cold and soften during the hot days. They are highly flexible and can be fitted in tight spaces or corners with ease. They also have good impact resistance and can handle the harsh environments well. When properly installed by a competent roofer, they will last for many decades and do not require frequent maintenance. Versatility, strength, durability, attractiveness are some of the advantages of this roofing type. Some consumers, however, say that they are not completely green and are heavy. This roofing type is becoming more popular by the day. Credit goes to the discovery of better materials and the invention of superior technology. Generally, plastic is very light meaning it will place lesser strain and weight on the structure. The building will, therefore, suffer from lesser wear and tear. The bonds between the plastic materials are also stronger and this leads to a waterproof and weatherproof roof. Common forms of plastics include Polyvinyl chloride (PVC), thermoplastic polyolefins (TPO), and alloys of PVC. Advantages of plastic roofing are that its lightweight, easy to install, creates tough bonds, aesthetically appealing, and is easy to repair. The disadvantage is that they can crack or break if stepped on too frequently. Also, some forms of plastic will fade over time. We take pride in offering the best services in regards to roofing in Birmingham. We have been in operation for many years and pride in not only being a leader but among the reputable roofers in the region. Our company boosts experienced and dedicated roofing experts who will deliver nothing but the very best. These include new installation, repairs, and maintenance of commercial roofing. We work with leading firms to ensure you get quality, reliable and long lasting. To learn more about our company and the kinds of services we offer, visit our website at bmroofers.co.uk. You can also get in touch with us by sending an email or calling one of our representatives. The most imperative piece of your home or building is the rooftop over your head. It ensures you, your business and your belongings and can upgrade the excellence of your property. That is the reason you need to verify that it is appropriately kept up and repaired. If Your rooftop isn’t lasting. It needs some love and guidance! Roofs are like a fine wine . You can give it that care by recognising what issues to search for and how and when to get proficient help. Again and again it is underestimated that as long as a rooftop is keeping you nice and dry, it must be in great condition. That isn’t really so. That is the reason you need to make a move currently to help guarantee a long life for your roof. The most ideal route for you to limit rooftop repair bills is to anticipate harm before it happens. This implies occasional examinations, either from the beginning on a stepping stool. In the event that you choose to assess the rooftop from a stepping stool, take after these wellbeing tips: review the step, rungs and rails for harm before utilising it; ensure the step is on strong, level ground; secure the stepping stool at the best to keep it from slipping; broaden the step no less than three feet over the edge of the rooftop, and edge it 1 foot back for each 4 feet in eave tallness; and dependably utilise the two hands when climbing the step. While examining from your ladder, search for threat signs like: absent or split tiles or slates, obstructed canals and guttering, extreme weathering, twisted shingles or exhausted roofing materials. Inside, you’ll need to check for holes or moist regions and stains on roofs. As a rule, a more up to date structure ought to be investigated every year while a rooftop that is eight to ten years of age ought to be examined all the more frequently. In the event that you can’t securely influence an assessment yourself, to have a roofing temporary worker do it for you. The cost is sensible, and it could counteract later pointless repairs. Repairing a rooftop is a genuine business. The best possible repair of current roofing frameworks as often as possible requires particular information, the use of new innovations and very particular abilities. It in this way can’t be over-underlined that repairs should just be attempted by an expert roofing contractual worker who knows how best to manage the current issue. On the off chance that your rooftop is generally new and has grown just a minor break, regularly it tends to be effectively remedied. Roofing that has been harmed or has overwhelmed can be supplanted, and spills around flashings can be repaired. In the event that there is any harm done to the rooftop by storms, hail, flying trash, or by other tradesmen taking a shot at your finished rooftop, you ought to tell your roofing temporary worker quickly. Keep in mind that this level of harm, if dismissed, will just deteriorate. A disregarded rooftop can make a slightly damaged roofline turn into absolute disaster and rainwater pouring in – potentially even basic problems turning into highly expensive jobs. When Do we Need a Completely New Roof? On the off chance that your rooftop is destroyed or if repair costs are over the top, reroofing is the best arrangement. Most urban communities and regions in the Birmingham Area have embraced reroofing codes to characterise particular prerequisites important to reroof a structure. All equipped roofing contractual workers know about and consent to these codes. While reroofing, the state of the rooftop structure and its backings ought to be examined for harm and repaired as required. Shrouded harm or dry decay not perceptible at the season of assessment may result in extra cost to the proprietor. It might likewise be important to fortify the rooftop structure to help the new rooftop, particularly in the event that you are thinking about supplanting a lightweight roofing material, for example, slates, with a heavier roofing material like a solid concrete tile. Amid a roof work, you have a one of a kind chance to include a protecting material that will seal the warmth of your home in. Since the vast majority of your escaping heat happens through the rooftop, including this protection will spare you cash on your utility statements. Why Use a Professional Contractor? The most imperative piece of keeping up your rooftop is to take care of business right the first run through. This is the place an authorised, guaranteed roofing contractual worker comes in. He is the professional – somebody who will convey a compelling, dependable rooftop and remain behind his work. An authorised roofing worker has an extensive variety of abilities. He will take responsibility wherever waterproofing is required. He knows a wide range of roofing and can suggest the best application for your specific need. He should also cite a reasonable cost before he begins to work. The best roofing contractual worker is just in the same class as the laborers who introduce the rooftop framework. Proficient roofing contractual workers put resources into specialist preparing and training and are focused on their wellbeing and security. Ask each contractual worker you are thinking about the kinds of preparing specialists get and the organisation’s previous track record. Demand having your rooftop introduced by talented, experienced and well recommended specialists. So there are some roofers who are proficient, and too many home and building proprietors have paid the consequences for contracting industry beginners. This sort of administrator can be unlicensed, uninsured, and most likely ailing in involvement. He may quote a very cheap price, and “extra offers” to get your business. He may urge you to pay in real money or to issue joint checks to keep away from his expense commitments. Be careful with any such plans. Countless property and building proprietors have been hauled into prosecution when an unlicensed roofer has made a right mess of the work required. In the event that a representative of an unlicensed company has harmed your home or building, you might need to get some sound legal advice before making any further steps. This can be a bit of a mine field. Obviously the advice is make sure you approve of the company you instruct in the first place, a bit of due diligence when you begin solves most issues. We have Problems with our Velux Window. It was installed several years ago and has always leaked. Do we need to replace the window or do you think it was installed incorrectly? The odds are the window was not introduced accurately in any case. The primary thing to search for if the right flashing unit has been introduced (for slate, tile different profile for tiles) . 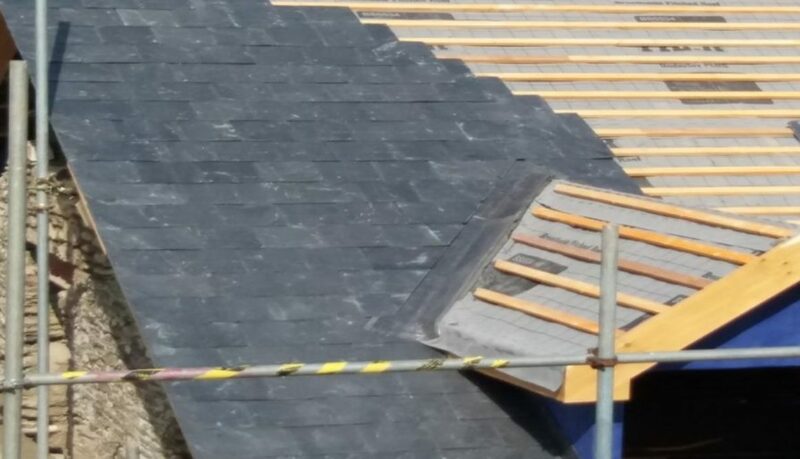 On the off chance that it is the wrong one or has not been introduced appropriately it’s generally down to the head lap, insufficient overlap (slate flashing) or side lap (tiles). It could be conceivable that the overskirt at the highest point of the window (demonstrations like a canal) could be penetrated due to a slipped slate. It is conceivable to settle as Velux do new parts. I’d envision it’s exceptionally uncommon yet in the event that it’s a blame with the real window and casing then Velux offer a multiyear guarantee, however just enquire once you are certain that the window has been introduced effectively. I strongly question the likelihood of the window spilling because of a development of leaves that would mean a considerable measure of issues for velux if that was the situation. There windows are tried against a wide range of climate conditions and situations. Is the window and flashing right for the point (pitch) of the roof? (wrong blend will bring about holes) Your builder needs to check each plausibility and output the distance around the window or more to edge tallness to determine no breakages over the window. In the event there’s a shot that moisture can work its direction into the underlay or rafters and get in where the underlay has been cut open when the window was introduced. Any of these proposals ought to be anything but difficult to comprehend. You said you utilised a builder, I don’t represent all builders ( I believe each exchange should stick to there claim) however you should ask for a survey off a trustworthy roofing organisation, a lot of experience means a ton. We want to convert our flat roof into a Decking and Garden Area? Is this possible and can steps from above be put down so we can access this? You would definitely need to get an auxiliary architect to take a gander at the roof. On the off chance that you are proposing to include a staircase and furthermore some kind of roof deck. I would figure that the original roof joists would not have the capacity to take the additional weight in a protected way. The staircase would need to be settled to the current roof deck/joist and afterward weathered with the film that you would use on the principle rooftop. With respect to roof covering you can utilise a superior single employ pvc roofing layer to climate your roof. This would then be able to be overplayed with either a timber decking or a clearing section on supports/pebbled wrap up. The decked zone would clearly NOT be settled through the roof layer and simply sit free over the roof. The heaviness of the deck will hold it down. You would need to utilise a wool channel/insurance layer between the completed film and whatever roof deck complete that you liked. This shields the waterproofing film from getting to be harmed and furthermore goes about as a filtration layer for all the soil that would aggregate under your deck. When Im in the loft I have noticed that the roofing felt is in a terrible condition. It’s frayed with holes and some areas it has completely disintegrated. We do not have any problems with leaks so do we need to bother getting replaced? As far as we are aware there is at this moment in time no government warning on roofing felt containing asbestos or the safe handling / disposing of sarking felt due to it dangerous nature. As there is no asbestos fibre in old roofing felts, it seems to me that the felts on your roof have started to perish, best solution is to post for a quote on here and get some advice, by all means you can call us and we can provide a quotation for any works free. the felt running into the guttering is always the first bit of felt to wear because it is exposed to all the elements, Sarking felt is the end that laps over into the guttering to allow water run-off. Over a long period of time the tiles/slate move, vibrate in the wind up and down and hit the top of the fascia board and sometimes that cuts the felt. This done it allows water penetration via wind movement to ingress to the timbers inside and you know what that mean. One of the best and secure ways of dealing with this is to replace the first 1 metre up the roof with new, this in achieved by removing the first four rows of tiles/slates and battens/ cutting away the rot and torn felt normally about 6″ lifting the rest up and installing a new length under making sure you leave enough hanging out to go into the gutter. Simply replace what tiles/slate you removed in a reversed action and re-bed in cement the ends to prevent ingress there. A good solid solution, hope this helps with your question. I have had my roof replaced and it is constantly Leaking, what do you advise? I had a re-roof and have had issues continually en route. Right off the bat they didn’t do the entire roof, they missed the mark by around 2-3 feet. They at that point returned and just nailed tiles over the old slate which fortunately my neighbour saw and hailed it up to me. So then they returned and took up that bit and put new felt down and set the tiles back on. I at that point saw they had missed a similar piece out on the front. Yet behind the stack, so it wasn’t obvious to see except if you were a reasonable way back from the house, which was making it spill. I additionally had a cascade falling off the front of my home because of the flashing not going into the gutter. So they returned for a third time and clearly settled it. Regardless I have water spilling into both the front and back rooms and I am having no reaction from the builder. It is simply deteriorating and more terrible consistently. One of the rooms was just put in July so it is turning into a misuse of cash the more it spills. I was trusting somebody would have the capacity to give me some guidance on what I can do? I assume my solitary alternative is to get another contractual worker in to settle the issues and endeavor to recoup the cash I have effectively paid through little cases court? Am I qualified for attempt and claim for the harms caused by the holes which have just come to fruition after they told me they had redone the whole job? What concerns me here is that there is no mention of building regs. As it was a re-roof building regs ought to have marked it off, it is presently compulsory that building regs are included on all roofs where more than 25% of the roof covering is supplanted or expelled and in addition all space protection is moved up to current government specs 270mm. In the event that the individual was an advertised contractor they should have open obligation protection for the activity they have done. While it doesn’t cover awful workmanship it will cover harm caused by the awful work i.e. water harmed ceilings, walls, this would be my first port of call, the insurance agency. Your home insurer may also be able to help. You can take them through the small claims court however this can be frustrating, take a lot of time and money and doesn’t always work in your favour. But definitely use as the final resort. Here is a little catch up on all things current in the roofing industry. Its an over view on events, shows, reports and general goings on in our proud trade! A Surrey roofing company who is owned and led by Lee Moran has been recognised for its outstanding charitable work in the community. The award came at the annual NRFC 2018 UK Roofing Awards in the “Local Hero” category which is aimed at recognising contractors who provide their community with more than just roof services. Its aim is to encourage the industry to improve its image and be associated with giving back to the local area. Lee was presented the award at the Park Plaza Westminster Bridge Hotel by a roofing director of a company called SIG Roofing who were sponsoring the event. Mr Moran has been raising money for a charity very close to his heart the Phyllis Tuckwell Hospice, who have helped some family members with treatment for cancer. Lee received an incredible amount of nominations for this award most of which came through the facebook group he started called “Farnham Rants”. The group has nearly 20,000 members and has raised over £10,000 for the charity so far. Following the massive success of a building demonst4ration held in Glasgow, manging Director of Birmingham Roofers Harry Maguire, is trying to replicate a similar event here in Birmingham. In Glasgow, school children, members of the general public and other youth organisations were invited to the event which had a whole array of tradespeople showing the general and basic skills often used in the building industry. Spectators were able to get their hands dirty and try out the different methods, carefully aided by apprentices in the industry. There was a whole host of skills being showed with the aim of raising the profile of career opportunities within the construction industries. The skills demonstrated really put across the diverse nature of building including bricklaying, joinery, roof tile laying, lead work, plastering, masonry and much more. Harry Maguire wants to encourage the youth of the city focusing more on roofing as he has struggled to find a decent volume of apprentices coming into the industry. He is hoping to join forces with the local council, the National Federation for Roofing Contractors and local colleges to put on a live show in the town centre this summer. It has been an idea that drone enthusiasts have always advocated, the use of small radio controlled aircraft with a camera to complete inspections of roofs. Negating the need for scaffolding and “guess work” when providing customers with accurate quotes and inspections. This new technology is fundamentally changing the way you can measure and survey roof jobs, solar installations, insurance quotes and so on. Drones are now safer and much more accurate than traditional methods of viewing roof damage. Combining the ability to fly and record video with state of the art mapping and measuring technology this has taken it to the next level. Soon it will become a must for any reputable roofing contractor to have a surveyor who is trained and capable of flying these craft to carry out normal roof inspections. The NFRC are a little bit concerned about safety as there is an art to flying these controlled “helicopters” and there are concerns that there could be a safety issue unless training procedures and possibly licenses can be put into place. Drones are a much quicker, safer and more cost effective way of gathering information and turning it into planned procedures, data and roofing diagrams. This drone mapping does not just give you basic measurements, pitches and roof area. It can also give detailed cloud based high resolution pictures which can be instantly communicated and shared across of IT communication applications. Many roofing companies have been trialling the use of drones and already are experiencing quicker quoting visits and much more accurate details of damage to roofs. This really proves that this industry is on the forefront of cutting edge technology and joining the likes of the farming industry in the use of radio controlled drone video capture tech. With the huge raise in awareness for the problems associated with climate change any product that helps the environment has the ability to see great success. This was recently highlighted when a recent survey showed that the green roof sector in the UK is seeing a 17% year on year growth. The Deputy Mayor for Environment and Energy stated that in London they are supporting green infrastructure through an ease on planning policies. This has led to an increase in green roofs that help boost air quality, help the environment and encouraging more wildlife, making the city more attractive. So there is a huge opportunity for contractors specialising in this niche to help promote the product in other cities around the UK. The country really needs a healthy green roof market if it is to adapt to the necessity for having healthy environmentally safe cities. The continued expansion of this sector within the roofing industry really does highlight the diversity we have is important in keeping a growing career opportunities market for multi skilled professionals. Most Velux windows are to fit specific pitches. It’s, therefore, necessary to confirm that the target window will suit the slope of the pitch. You need to measure the angle then go for the right product. You should choose the best location for maximum efficiency and improved operation. You may want to install it at a certain location, but you later discover there is a strong beam or rafter beneath. This calls for changing the location. Just like the slope, it’s also important to know the dimension that will be covered by the window. The larger the window the larger the space should be. This entails using a ruler to measure the length and width. Velux windows come in many designs and each has its unique pros and cons. Some types are perfect for tiles, others for corrugated iron sheets, and some are fit for slates. You may pick a window based on the intended cut or cut the opening as per the window. Mark the point where the window will go using chalk or any other identifier. And as the old adage states, measure twice cut once. After reconfirming then location, you now need to remove the tiles, slates, iron sheets, sheeting, insulation, and other covering materials. Leave a margin of about 18cm (7 inches) around. Cut an opening where the window will be placed. It should be between rafters so as to prevent structural damage and to allow in maximum lighting. You need to be extra careful while cutting to avoid interfering with plumbing or wiring. NB: It’s advised to cut from the inside especially if the space between the ceiling and the roof is wide. Also, having an assistant to help you to hold the cutout helps. Insert the window in the opening and make sure it is aligned perfectly. Some types come with a built-in frame while others are attached to a curb. You should ensure there is minimal space around the edges. Firmly secure the window to the support and if it’s the opening type, ensure it is operating perfectly. Tip: Have an assistant to help you support and align the window during installation. Although the window is now firmly secured to the curb or frame, it still has openings that may allow water, moisture, dirt and other things to pass through. Placing a waterproof felt helps to stop these compounds. Staple it nicely all around. Some types may require an additional membrane for further water and windproofing. The edges around the Velux window will be missing the covering. Replace the tiles, slate or corrugated iron sheet and make sure they flush properly. They now will be lying on the membrane. Adding Velux windows to your roof will help improve the lighting in the loft conversation, enhance the beauty, and also add worth to your property. But, if done poorly, not only will it ruin the appeal and value but may mean you spending more time and cost carrying out the necessary repairs. You can save yourself the trouble by working with reputable and experienced roofers. Birmingham Roofers is a well-known firm that specialises in the addition of Velux windows on the roof. It can fit different types of products on any type of roof whether sloping (pitched), hip, mansard, gambrel, or gable. The company uses the best technologies to ensure the installation is perfect and that there are no leaks, operating it is easy, and it improves the beauty and value of the property. You can get in touch us Birmingham Roofers by visiting our website at bmroofers.co.uk, sending an email, or giving them a call. And if you happen to be in Birmingham, you can always stop by their offices. Are you thinking or planning to convert your loft? Lately, the number of people undertaking loft conversions has been rising. Some do it to increase the living spaces by taking advantage of the space beneath a pitched roof whereas others do it to create extra storage space. 1. Is the loft convertible? Not every loft can be converted. Some will have limited space that won’t create a nice living space and the best it will serve as a storage point. The existing framing may not be able to support too much weight and the cost of reinforcing it may be too high. Also, the roof design and pitch may not provide the best design or lighting. Talking to an expert before the conversion will help to ascertain the viability of the project. You don’t want to spend so much money and time only to never use the space. Also, you don’t want to ruin the appeal and value of the property. 2. What type of roof do you have? Loft conversions can be undertaken on different types of roofs. These include mansard, gable, pitched and more. Nevertheless, the roof design and pitch will greatly determine the loft conversion. By looking at the framing (rafters or trusses), an experienced roofer will determine the most suitable. Rafters are much easier to work with courtesy of the triangular space they leave beneath the roof. Trusses can also be converted but will require extra reinforcements due to the design. 3. How much floor space do you have? Many people focus more on the space beneath the roof and not so much on the floor space. However, as we know, you will need to build a staircase leading to the loft and this can take a considerable space. You also don’t want to undermine the functionality of the floor space by placing the staircase in a bad position. (Imagine a staircase right in the middle of the room?). A competent roofer will design the best staircase that won’t interfere with the available space, functionality, movement or the aesthetic appeal. A common method is using a retractable staircase that is usually placed on the side of the room. 4. Which loft conversion do you want? There are many kinds of loft conversions and these include roof light, hip-to-gable, dormer, and mansard. Each type has its key strengths and weaknesses and is also influenced by the roof design, house design, age of the structure and the budget. Roof light conversions are easy to construct and don’t require lots of modification. However, you need to have lots of space already available. A dormer loft conversion is also among the affordable options and will work in most types of pitched roofs. Hip-to-gable and Mansard conversions are more expensive but add more space and value to a property. Loft bedroom covered in hardwood floors with pictures, seat cushions and other decorations with slanted windows above. 3d Rendering. 5. Are planning permissions needed? Generally, you can carry out a loft conversion without seeking any permission since they are already catered for by the permitted development rights. Nevertheless, if your house has a unique design or is located in a designated land, then you may require additional permission. A good roofing contractor should guide you to ensure you don’t violate any regulations. When planning to convert a loft, you need to have a predetermined budget. Usually, many people discover that they underestimated the budget simply because they compared it to other similar roofs or relied on incomplete information. And due to this, they are forced to look for more money or use shortcuts to finish the project. The cost of converting a loft with trusses is usually higher than that with rafters. This is because extra support is needed to strengthen the framing. And unless you know the differences between the framing, you may use a wrong approach. The above steps will make loft conversion not only easier but also time efficient. Nevertheless, it’s always advised to let the experts handle the job from start to finish. They will determine the available space, the best design, create something that suits your needs, use the best materials and techniques, and also ensure your needs and desires are not only met but exceeded. Birmingham Roofers undertakes loft conversions and related roof services. Our company can handle any kind of task without a problem thanks to our many years of experience. We boast of a skilled workforce who takes extra precautions to ensure you get the best service. For more information on the service, you can call the company, visit our website at bmroofers.co.uk or send an email. Did you know that we offer a free quote on the service? Converting your loft shouldn’t be a challenge. You also don’t need to rely on guesswork. Talk to Birmingham Roofers and enjoy the best service. How do you find the right roofer? Ask this question and many people will give you a blank stare. This is despite them having sought for roofing services time and again. Some will say they simply walked into the nearest service provider’s office, others will say they trusted referrals from their friends or families, while others just chose the cheapest. Many however will claim that the service wasn’t the best as the leaks returned, the tiles warped or developed spaces, and they discovered they had been overcharged, or the value of the property dropped because of shoddy workmanship or substandard products. 1. How long has the company been operating? Before engaging any roofing contractor, you first should ascertain how long they have been in operation. Like other trades, a more experienced provider is more likely to deliver better services than an inexperienced one. The firm will be aware of the problems the people face, have provided the right solution, and will be able to deliver the services much faster. You only need to view the company profile, look at their background, or inquire from other people. A firm that has been running for a long time will be well-known in the region. 2. Is it a reputable firm? If you were to search keywords such as best roofer Birmingham, you’ll be bombarded by many companies claiming to be the best. But are they really? The best way to unearth the truth is through talking to people, reading testimonials, and also checking their standing with associations and organisations in the region. A quality roofer will have a good reputation. The firm will be praised for quality roofing services, fast service delivery, using high-grade materials, offering a guarantee on services and products, competitive pricing and much more. 3. What services do they offer? The truth is that many people are aware of the general services that are offered by a roofer. These include installation, repair, assessment, and maintenance. However, some firms will specialise in residential services; others can handle both residential and commercial, whereas some firms undertake repairs and maintenance and not a full installation. Going through the service page or communicating with the firm sheds more light on the services they offer. It pays to first understand what you are looking for then communicating with the provider. For further clarification, you can visit the premises, call the firm, or send an email. 4. Is the roofer licensed, registered, and insured? You will be amazed by the number of customers who got shocked to learn that they dealt with a quack or an unlicensed or unregistered firm. Dealing with such a company not only increases the odds of getting poor services and spending more money but also puts the occupants at risk. The roof may suddenly cave in; it may be blown off by strong wind, or will lower the value of your property. You are advised to always confirm that the provider is licensed to provide the target services, is registered with the authorised body, and is also licensed. You are more certain to be compensated in case they provide bad service or someone gets injured on the job. 5. What are customers saying about the company? Most roofers will brag about being the best. Nevertheless, a majority will say so just to land a job. You will only discover later that their job is shoddy long after they have left with your money. Before engaging a roofer, you need to know what other previous and current customers are saying. Did they deliver good service? Were they using the right materials? Do they keep their word? Does the firm have everything in writing? These are some of the questions you need to ask. Reading reviews and testimonials from customers is advised. You can also rely on referrals from family, relatives, work colleagues or friends. 6. Do they offer a guarantee? When searching for the best roofing contractor, you need to confirm they provide a guarantee on the workmanship and products. Yes, the job may look awesome and they claim to have used the best materials. Unfortunately, you can only confirm this long after they have left. And the last thing you want is being unable to get compensation because they are not in agreement with you. You should always insist on a written guarantee and not just word-of-mouth. It should clearly stipulate the terms and course of action to take in case the service doesn’t meet your expectations. Finding the best roofer shouldn’t stress you. You don’t need to break the bank account yet you get poor services. You also shouldn’t put your life or that of others in harm’s way because of poor products and services. Birmingham Roofers is one of the reputable firms operating in the UK. We have been in service for some time and handles any kind of roofing needs. These include new installation, repairs, maintenance, inspection, and sales. We also provide advice to the client /customer on selecting the best roofing. Our company can be reached via our website at bmroofers.co.uk or you can send us an email at bmroofers@gmail.com , call, or visit the physical location. With the right roofing contractor, not only will you get the best roofing services but are certain of maximum satisfaction. Choosing the best roofing tiles isn’t easy even for seasoned homeowners. Firstly, you have to compare different types of tiles. Secondly, the tiles come in different sizes, colors, shapes, brands and more. Thirdly, you may not know the reputation of the manufacturer. Fourthly, although you may have an idea of the best, you can have challenges distinguishing genuine pieces from fake or substandard products. Fifthly, there is so much competition in the market which may leave you more confused on which item you should actually go for. In this article, we will briefly show you how to choose the best roofing tiles. No one wants to keep repairing or replacing the tiles because they wear out too fast or lose their beautiful appeal too soon. This is best avoided by going for the sturdiest tiles that money can buy. You will need to compare different products, read product reviews, or follow referrals. A better approach is dealing with an experienced roofer who will guide you through the purchase. A reputable firm already knows the best types and brands and will have helped many people pick the best product. In addition to a quality product, relying on an expert saves time and effort. One of the biggest challenges for most property owners is knowing if the tiles are genuine. As we know, authentic pieces will last for many decades and won’t lose their appeal. However, fake or substandard products will start warping, fading, splitting, or cracking within a short time. You are advised to only go for genuine tiles if you want the best service. You shouldn’t sacrifice quality for economy since, in the long-run, you will spend more time and money repairing and replacing tiles due to leaks, sagging, discoloration, and more. Generally, roofing tiles are constructed from clay or concrete. The two materials have been used for decades and each comes with its specific advantages and disadvantages. For instance, clay tiles are very fire resistant, eco-friendly, durable, and come in many designs. However, they are a bit heavy and also brittle. Concrete tiles, on the other hand, are eco-friendly, durable, fire resistant, durable and more affordable than clay tiles. However, they are not as fire resistant as clay and are equally heavy. Did you know that the slope or pitch of the roof influences the type of tiles to choose? Some types will look better on flat or less-pitched roofs while others are better for pitched roofs. Types to be placed on a flat roof need to have better properties when it comes to redirecting rainwater and preventing leaks. Tiles to be placed on pitched roofs should remain firm and won’t move even in the strongest winds or rain. You shouldn’t pick any tiles just because they are well-priced or will look amazing on your home or business premises. It’s critical to first examine the truss or framework. Placing heavy tiles on a weak framing may lead to the roof sagging causing it to cave-in or leaking. The existing framing should be able to support the tiles without problems. It’s better to call in an expert before buying the pieces since he will examine the structure to ascertain its strength. BM Roofers would be a good option for people residing in this surrounding area. Truth be told. The roof greatly influences the beauty, functionality, and value of a property. So, why would you want to ruin its worth or appearance by going for plain or average looking tiles just because they are cheap or on offer? It’s vital to take time and compare different products while focusing on the design of the property. Some colors are known to make a property seemingly bigger while others may make it appear smaller. Some tiles are best used on modern styled homes while others are perfect for traditionally-styled homes. Before you install tiles on the framing, you have to ascertain that they will tolerate the weather and natural calamities. Top choices can withstand the high heat that may occur during a wildfire or inferno, low temperatures experienced in the cold climate, and also heavy rainfall. It will also withstand high wind, animal droppings, tree sap, and other harmful compounds. Other critical issues are cost, recyclability, compliance with building codes, brand reputation, and product reviews. After reading this article, finding the right roofing tiles should now be much easier. However, you may need further classification or are in need of a seasoned, reliable, and reputable roofer. How about talking to Birmingham Roofers? The company will help you pick the best tiles that guarantee you of good long-lasting service. It stocks a wide range of products to cater for different needs and tastes. And thanks to its team of experienced roofers and experts, you are assured of the best service and maximum satisfaction. You can take a look at the services by visiting bmroofers.co.uk, sending us an email, calling them or even visiting our premises. Talk to us for the best roofing tiles. There are many types of roofs in the UK. Some have been in existence for centuries whereas others are new in the market. Each type comes with its specific advantages and disadvantages and will appeal to people differently. the suitability of a roof is influenced by the region, availability of the materials, home design, trend, maintenance ease and much more influence Whichever your choice, it is important to pick the best type that is functional, durable, easy to maintain, and affordable. The following are the popular types on the market. This roof comes with a flat surface. It has no ridges in between and is among the easiest to install. One of the sides is slightly raised to allow rainwater to flow from one end to the other and finally into the gutter and downspout. It is mostly fitted on small areas since it has a limited beam and rafter support. The roofing materials comprise of a bituminous felt, concrete, and iron sheets. Advantages of this roofing type are the simple installation, affordability, and space saving. The pitched rope is also known as the sloped roof. It comes in a high or low pitch with the former having a pitch angle of less than 20 degrees while the later can have an inclination angle up to 70 degrees. The more pitched the roof the more materials required to construct it and the more efficient it is in redirecting water and preventing stagnant points. A qualified Birmingham roofer will first analyse the property design to come up with the best pitch of a new installation or complete overhaul. This is a type of pitched roof and comprises two sections linked with a ridge. One side is longer and slopes inwards and also has a sidewall with a gable (a triangular shaped top section). When viewed from the side angle, you will only see the fascia and side walls, not the roof. It is also a popular choice and will be seen in homes, offices, warehouses, godowns, and other replaces. Consumers love it because it is easy to install, suitable for many places, and can last for many bears when installed properly. This roofing type is almost similar to the gable roof. However, it lacks a sidewall, flank or gable and in its place, you will find a longer roof section. The roof will have four parts rather than the two that are found on the gable type and includes a ridge. Due to the more sections and complex design, construction or repairing this roof is a little challenging than the gable roof. Nonetheless, a good roofer in Birmingham should be able to handle it without a problem. Usually, a pitched roof has two sloping sides. However, the gambrel type has four sides, two on each side. The roof has a vertical gable on each end and is liked because of its classic styling and aesthetic appeal. It’s, however, more complicated to install compared to the flat, gable, or pitched roof. It also requires more materials, a stronger support, and occupies more space. The roof can be seen in many old houses. The mansard roof is also called the French roof and was very popular since the 16th century. It was popularized by the French and is still common even today. It resembles the gambrel roof and has two pitched sections on each side of the roof. The two sides connect to each other via a ridge and give it for sections. While the gambrel roof is plain, the Mansard will have an attic(s) and windows to take advantage of the large spaces inside the roof section. If you want to install new roofing, overhaul an existing one, replace or repair a section, you need to talk to the experts. Birmingham roofers have installed many types of roofing in the region and beyond .the firm also undertakes roof assessment, repairs, and replacement and has been in operation for many years. It comprises a team of skilled and trustworthy individuals and has invested in the latest technologies. The firm is reachable via the website, email, social media and via phone. Talk to the experts and have a stress-free roofing experience. The roof may look like one large cover that shelters the occupants and belongings from the elements (rain, wind, snow, dust,), creatures, and other things. However, it comprises of several parts, each playing a vital role. A missing or failing part may put the entire roof in jeopardy. The sections may vary from one roof type to another but the following are noticeable in any type. This is the framework found in the entire roof section. It consists of many pieces such as rafters, ridge rafters, and supports the covering, sheathing, underlayment, and insulation. This is what is nailed to the rafters and stops rain, sun, wind, snow, animal droppings, dust, and dirt and other debris from entering. Iron sheets, tiles, concrete, slate are the popular covering materials. These are normally made from wood but you may also find metal type. They run from one end of the roof to the other and form the framework. It supports the covering, insulation, and sheeting and also connects the ceiling joists. This is the wood plank that runs horizontally along the roof’s edges. It is nailed to the rafters and may also support the gutter. The accessory also helps to enhance the property’s beauty and value. This is found on a pitched, gambrel, gable, mansard and other types of roofs. It’s the highest point (think of the letter “V” upside-down) and connects the two sides of the roof. This is the covering or tiles that are found on the ridge. It prevents the entry of dust, dirt, water, moisture and other debris. The lowest point of a pitched roof including mansard, gambrel, gable and other roofs is known as the eave. It’s also where the gutter is connected to the roof. This is the connection between two pitched/sloped roofs and forms a right angle (90 degrees). Below the valley is a valley rafter that supports a shallow gutter-like piece for allowing water and other debris to trickle down into the gutter. the roof to the ground. It is connected to the gutter and channels the water to the designated point. It’s made of metal such as galvanized steel, plastic, and other materials. These wooden planks run along the rafters and improve the rafter’s strength. They also help to attach the soffits. The area that is visible when you straight up a roof is the soffit. It lies between the wall and fascia or eaves and conceals the rafters and ceiling joists. or particleboard that is placed over the rafters. It strengthens the roof and also supports the underlayments. It comprises a waterproof material made of bituminous product, rubber strips, and felt. It’s placed over the sheathing and improves the waterproofing. These timber or metal strips hold the tiles in place. They have different gapping to cater for different kinds of tiles. Other notable parts include the Gable, Chimney, Verge, Hip, Dormer, Rake, Skylight, Ride Vent, and Step flushing. If you would like more information about the different roof parts, their role, or are seeking roof related services, then you should talk to our Roofing Service Birmingham Roofers . Our company deals in new installation, repair, maintenance and offers its services to residents of Birmingham and the surrounding areas. We rely on professionals who will leave no stone unturned to see your roof is in top shape. For more information about the roofer or its services, visit the company website, send them an email, or call them. Regularly inspecting the roof will help to extend its life. You may notice that the water isn’t flowing right because of debris blocking the gutters, a few tiles may be loose or are faded more than the others and this may be due to misalignment, or the paint on the soffit or fascia may be flaking. Early detection helps to arrest a problem before it gets out of hand. Areas that need to be looked at include gutters, fascias, soffits, vent pipes, and flashing. Stuck leaves, grass clippings, gravel, bird’s dropping have a negative effect on the roof. They may interfere with the flow of water meaning it stays on longer and may cause rot. The acidic content in the tree sap, bird dropping, leaves or acid rain may start corroding or staining the roof or the debris may interfere with flow and cause water to splash against the soffit or fascia. Regular cleaning helps to eliminate the debris. Due to the risk of slipping or the ladder skidding, it is recommended to deal with a competent roofer in Birmingham. Some problems are easier to spot when in the attic or loft. These include a damp roof, loose insulation, sagging beams/rafters, moss, and mold. Accessing the attic will help stop a problem from getting worse. A better approach is seeking professional help since they will carefully go through the entire roof and will provide the best solution. It may be a simple cleaning job, debris removal, applying a sealant, or more complex task like replacing a rotted or faded section. Some roofing problems may not be visible and may require special skills or tools. For instance, loose or worn out insulation, mold or dampness beneath the roof, rooting beams, rot and much more. Scheduling periodic inspections with a Birmingham roofer helps to pinpoint such problems. The provider will rely on many years of experience and specialised tools to not only detect but also eliminate the problem. This may entail scraping the moss or mildew, clearing the debris, replacing the insulation, or applying a sealant or protectant. Maintaining your roof doesn’t need to be a difficult task. You don’t need to take risks scaling the roof and risking falling? Also, you shouldn’t depend on an inexperienced professional to undertake the repairs. At Birmingham Roofers, we specialize in roofing maintenance and repairs and can handle any kind of roof. We have been doing this for many years and pride on a competent and experienced team of professionals who ensure you get the best. Give us a call or visit our website to learn more about our services.